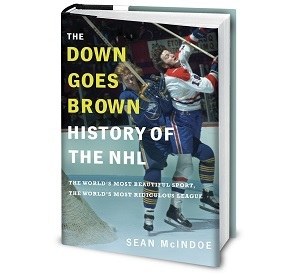 Down Goes Brown: Can the Wild comeback and stun the Blackhawks? The Minnesota Wild were a great first-round story, beating the heavily favored Colorado Avalanche in overtime of Game 7 to become the only 4-seed to advance. But that win earned them an even tougher matchup in Round 2 against the defending champs. And so far, the Chicago Blackhawks have handled them easily, winning the first two games by a combined score of 9-3 and looking like a team that’s going to sweep this series easily. So can the Wild find another miracle? Can they actually come back and win this thing? No. No, they can’t. See you tomorrow. Ah. OK, sure. No problem. Let’s try this again. Huh. This is shaping up to be a tougher post than I thought. But I’m always up for a challenge, so let’s look at it from this angle: If the Wild have any hope of winning this series (they don’t), where would it come from? What would need to go right for Minnesota to pull off a second consecutive upset? If we’re going to see another Minnesota Miracle, here are five ways it could happen. So if you’ve got one of those top-tier goalies, you should have an edge against Chicago. That’s not great news for the Wild, though, who are relying on the notoriously inconsistent Ilya Bryzgalov. That would be the same Bryzgalov who struggled in the Colorado series, lost the starting job to rookie Darcy Kuemper, and then had to go back in when Kuemper was hurt late in Game 7. His numbers so far this postseason are ugly, but the Wild don’t have any other options. Josh Harding and Niklas Backstrom are still out. The backup is now John Curry, a minor league veteran who’s never played a minute of NHL postseason action. Byrzgalov is all the team has left. That’s not to say he can’t get hot and steal a series, because hockey history has taught us that any goalie can get hot and steal a series. It may be a long shot, but when it comes to Minnesota Wild optimism, that’s all we’ve got.